ELISA: Antibody detection limit dilution 1:128,000. Western Blot: Approximately 35 kDa band in human prostate lysates after 0.03 μg/mL antibody staining.2 kDa according to NP_036563.1. 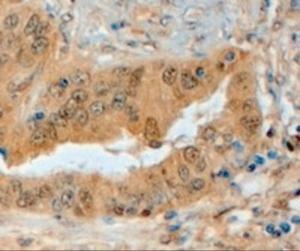 The 35 kDa band was successfully blocked by incubation with the immunizing peptide. 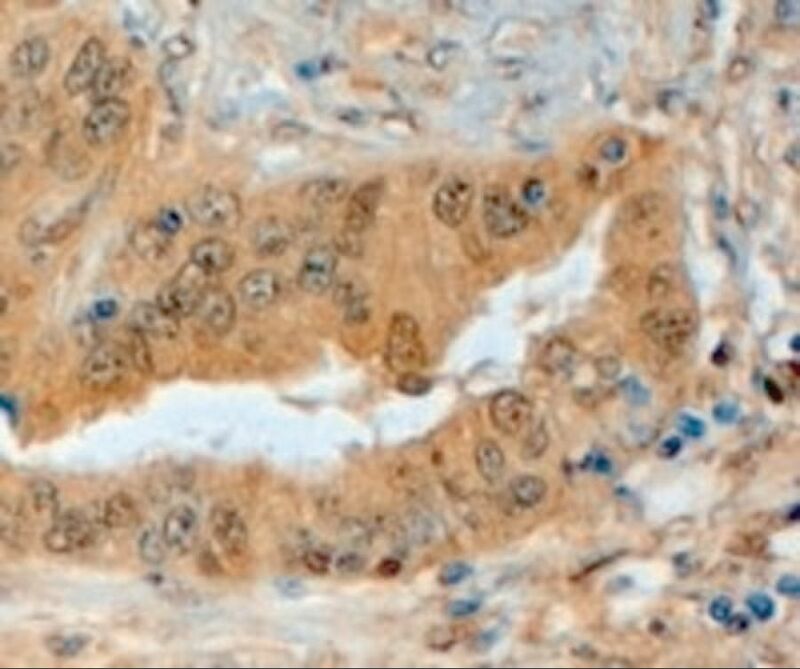 Immunohistochemistry: In paraffin embedded human prostate shows membranous staining of secretory cells in the gland. Recommended concentration, 4-6 μg/mL. Semaphorin 3E antibody was purified from goat serum by ammonium sulphate precipitation followed by antigen affinity chromatography using the immunizing peptide. SemapH orin 3E antibody is supplied in Tris saline, 0.02% sodium azide, pH 7.3 with 0.5% BSA.